Ingrid Perry has been the Practice Manager of mydentist Holderness Road in Hull for 3 years. Here we tell you Ingrid’s story of passion, dedication and community spirit that has resulted in her being awarded with an MBE. She has made it her life’s work to prevent children experiencing dental pain and decay not only in her home city of Hull via her charity, Teeth Team, but now in areas of social deprivation across the UK. Ingrid has over 35 years working in the dental profession and is passionate about improving children’s oral health. She has vast experience of delivering oral health education sessions and developing and implementing oral health initiatives. She shares her knowledge and expertise with her team and has a “hands on” approach, often demonstrating how to facilitate the sessions. Her leadership can be directly attributed to a 20% reduction of extraction under general anaesthesia in areas of Hull. Plus, while doing this she is also a leading practice manager having transformed mydentist Bridlington into a notable practice. Her whole career is dedicated to improving the oral health of children, particularly those living in areas of social deprivation where you will find the highest disparities in both dental health and general health. Her work with Teeth Team, a child oral health improvement initiative she personally founded in 2006, has given her valuable experience that she shares with others. Teeth Team is now a nationally recognised programme which has won numerous awards over the years. It supports thousands of vulnerable children with daily supervised tooth brushing sessions, annual dental assessments by local dentists who work on a pro-bono basis, bi-annual applications of fluoride varnish and oral health education sessions which support the national curriculum. Teeth Team is now registered as a charity with HMRC. 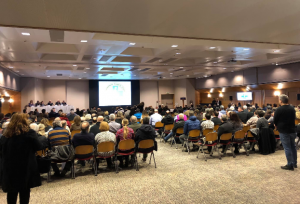 In September 2017, Ingrid delivered a presentation at the British Society of Paediatric Dentistry’s Annual Conference in Salford, where she shared the work of Teeth Team with other dental with other dental professionals. Sara Hurley, Collette Bridgeman and Margie Taylor the CDOs for England, Wales and Scotland were also speakers at this conference. She has been interviewed on BBC Breakfast, trade and regional media about the number of young children under going extractions and will also speak at this year’s annual mydentist conference to further spread the message of prevention to clinicians across the UK. Now practice manager at mydentist Holderness Road, Hull, Ingrid engages with her team offering guidance and support. She delivers training in an informal, fun way which ensures engagement and buy-in from even the most reluctant staff members. Her current team had no experience of working with local community groups, but with her support they have facilitated children’s clubs where school children visit the practice and where they can gain an insight into what happens during a routine visit. Many of these children are symptomatic attenders and have only experienced exodontia under general anaesthesia. By working with local schools and nurseries, they have been able to break down some of the barriers to accessing primary dental care. To run along-side this the practice provides oral health clinics each week where a dedicated dental nurse with extended duties, supports children and their parents to achieve optimum oral health. These clinics provide tooth brushing instructions, dietary advice and information and fluoride varnish applications. Ingrid has been instrumental in training other dental nurses within mydentist so that they too are able to deliver these oral health clinics in their practices. In October 2017 Ingrid’s practice was awarded “notable practice” by the CQC for the prevention work it undertakes both in the practice and within the local community. Ingrid has been instrumental in gaining £50,000 funding for two additional practices which has enabled them to participate in the “Starting Well” initiative. She has taken the lead on Starting Well in the East North Yorkshire area for mydentist practices and has delivered training and peer review sessions for all staff involved. Starting Well practices work with local agencies such as health visiting and school nursing teams as well as the schools themselves. Ingrid’s previous experience of working with these agencies and health professionals has allowed relationships and partnerships to be formed, ensuring that vulnerable children can easily and quickly be signposted to primary dental care. Ingrid is also assisting with a pilot with Bangor University whereby an initiative called “In Practice Prevention” (IPP) aims to prove that by providing early intervention, this will prevent/reduce the risk of dental disease later on in young children. Dental health promotion and education is important to any dental practice and Ingrid ensures she has sufficient resources available each week to deliver these important sessions to “at risk” children. Ingrid believes all dental staff should be capable of delivering correct oral health messages to a wide variety of audiences. With this in mind, she has ensured her staff are suitably trained and have a good level of knowledge. Those wishing to take things further have been able to undertake additional formal courses of study to enhance their skills and knowledge. In March 2018, Ingrid delivered a short presentation on IPP, for practices who were about to commence in Wave 2 of the initiative. She continues to promote oral health messages and seizes the opportunity to get children’s oral health on the agenda with anyone who has the potential to help in her quest to raise the awareness of how poor children’s oral health is in the UK. In November 2018, Ingrid was presented with an MBE by Her Majesty, The Queen, at Buckingham Palace. Ingrid was given the honour for her tireless services to oral health education and the improvement of dental health in children living in areas of significant social deprivation, in a career spanning more than 34 years. Ingrid said: “I know first-hand the lifelong difficulties that children face due to early tooth decay and that is what drives me to make a change. Sadly not all children are encouraged to maintain good oral health, or make the right food choices, but through our work we aim to educate children and make brushing an everyday routine. The children that we see now are the parents of tomorrow and by providing education and encouragement we can break the cycle of childhood dental decay. 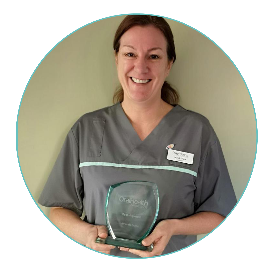 Ingrid was also awarded the ‘Chief Executive’s Award for Outstanding Contribution’ at this years mydentist Clinical Conference and has also been nominated for the ‘Best Leader of Prevention’ at the Oral Health Awards, we would like to wish her the very best of luck.